ILLEGAL SIGNS - We Buy Houses signs posted on telephone poles and sticking in the ground on highways is often an ILLEGAL act in many if not most towns. If the person posting ths signs is breaking the law in this simple matter, of what else is he capable? Do your homework and background checks. Listed below are excerpts from websites we identified (postings, news articles and other sources). This is information that is available to anyone on the Internet - made public by the sources. The sources have been identified (to the extent we could find the information) and given credit. Some listings are simply blogs and opinions. We have not validated any of the original sources - so the info is here for your "entertainment" and not provided as fact. You are encouraged though, to do more research on your own - and form your own opinions. A New York couple was in a great deal of difficulty. The husband had health issues. He also lost his job. In order to pay their bills, the couple took out a home equity loan on their home. But the home equity loan wasn't enough to meet their financial needs. That's when the person offering help (a.k.a. - "the helper" - name omitted). This person told the couple that he would arrange a bailout. He said that they should stop making mortgage payments while he worked out the details. Then the couple started to receive foreclosure notices. When foreclosure notices started showing up, he told the couple to ignore them. He said he'd take care of it. Almost eight weeks had passed since "the helper" had approached them. And now, the day before their foreclosure was scheduled, "the helper" told the home owners that the arrangement hadn't worked. Instead, he said they'd have to file for bankruptcy and enter a "special program". In this program, they'd sign over their house's title to one of "the helper's" employees and another of his business associates. This associate happened to be "the helper's" brother. He said they'd be allowed to live in their home as tenants and their rent payments would go toward buying their home back from him. Due to the impending foreclosure and their lack of money, they had no choice but to sign over their deed. Are Being Dragged To Court - Or Jail ??? Foreclosure "Rescue" Scams - DON'T FALL PREY! What’s a Foreclosure "Rescue" Scam? These scams revolve around heavily-promoted deals supposedly designed to save the homes of people facing foreclosure, those who've fallen behind on their mortgage payments. But with frightening regularity this "help" from a "rescuer" either drains off the property’s built-up equity or leaves the "rescuer" owning the house outright – and the family evicted from their home. In many cases it’s hard to escape the conclusion that that’s exactly what the "rescue" is designed to do. 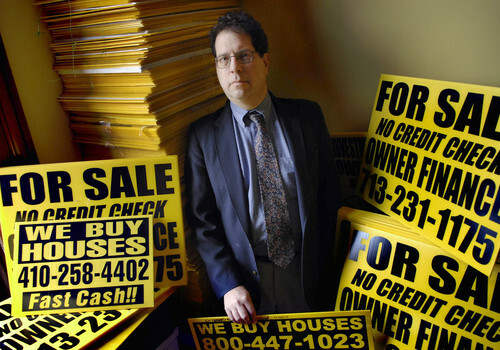 The predominant foreclosure "rescue" scams appear to come in three varieties. The first might be called "phantom help," where the "rescuer" charges outrageous fees either for light-duty phone calls and paperwork the homeowner could have easily performed, or on a promise of more robust representation that never materializes. In either event the homeowner is usually left without enough assistance to actually save the home but with little or no time left to prevent this grievous loss by the time s/he realizes it. The "rescuer" essentially abandons the homeowner to a fate that might well have been prevented with better intervention. A second variety of the scam is the "bailout" that never quite works. This scenario includes various schemes under which the homeowner surrenders title to the house in the belief that s/he is entering a deal where s/he’ll be able to remain as a renter, and buy it back over the next few years. Homeowners are sometimes told that surrendering title is necessary so that someone with a better credit rating can secure new financing to prevent the loss of the home. But the terms of these deals are almost invariably so onerous that the buyback becomes impossible, the homeowner permanently loses possession, and the "rescuers" walk off with all or most of the home’s equity. The third variety is a bait-and-switch where the homeowner does not realize s/he is surrendering ownership of the house in exchange for a "rescue." Many homeowners later insist that they believed they were only signing documents for a new loan to make the mortgage current. This is just a sample. We'll be adding more info as we encounter it. Even Some Of The So-Called Real Estate Gurus Have Shady Pasts & Trouble With The Law. * Was investigated by the Illinois Attorney General's Office for illegal & fraudulent acts. * Had a civil contempt order filed against him by the Federal Trade Commission. Others have filed bankruptcy, closed and reopened businesses under different names, etc. We Will Assume That By Now You Have Seen The Get-Rich-Quick Real Estate Infomercials On TV. These seminars are often attended by people who have very little of their own money - and may not even be employed. They are taught tricks and schemes to identify people in need and how to take control of their homes. You can see many comments from these needy homeowners who were tricked or misled by reading comments all over this website. "Money Magazine" did an in depth article called "Foreclosure Investing - Is This The Golden Opportunity?". They reviewed several courses offered to people seeking to take advantage of what appears to be a glut of foreclosures and people in need. Money quotes one of the Presidents of these foreclosure buying instant wealth seminars - where he tells his "students" (people seeking to get rich quick by taking control of people's homes) NOT to answer the direct questions of the homeoweners in need that the seminar attendees contact. Rather he teaches his students to EVADE AND AVOID answering their important questions - and turn the conversation around to make the Homeowner answer questions instead. They are told "...to ask questions but not answer them..." - a direct quote from the article. Does this tactic sound misleading if not dishonest to you??? When we are asked direct questions - we provide direct answers. PERIOD. Yes, We Watch Some of The "Get-Rich-Quick-in-Real-Estate" TV Infomercials Too - For Their Entertainment Value! "...it does not require you to have any money or credit to make thousands of dollars every deal in just 14 days..."
"...does not require your cash or credit..."
"...The amazing secrets in XXXX's system have already made him millions." "...cash in on the huge fortunes in the foreclosure market without using a dime of your own money or credit..."
to make "thousands of dollars every day" by "selling" him your home. Sounds like a great idea, right? Not to us. It's ridiculous. Attorney General Sues Foreclosure Firms - a newspaper article we found (and there are many out there). "Christian companies". And after getting a lot of money up front, they demanded even more money from people who were already in trouble, before the firms would do anything for them. Despicable in our opinion. And I guess this State and its Attorney General feels the same way. This scheme is fairly simple: Let's say you're way behind on your home payments and facing foreclosure. An individual or group contacts you and says they can help. They then charge you thousands of dollars for various administrative duties like filing forms and phone calls. Or they simply keep promising a their big rescue later. You can probably guess what's really going on: The "helper" isn't really doing anything at all to stop your foreclosure despite collecting thousands from you. And by the time you figure out you've tricked, it's often too late to stop the loss of your house. How did the scammer know to target you, anyway? That's easy: When a lender schedules the home for public auction, the matter becomes public record. Notices are often published in local newspapers. They follow these notices - then start calling, sending letters or even driving by and knocking on doors. It's not guardian angel -- just a vulture. His office took one of those "we buy homes" outfits to court to stop them from taking advantage of North Carolina home owners. The company got the home owners to sign their titles to their homes over to them, held in a trust and then leased the homes while leaving the original owners responsible for paying the existing mortgage. (As a side note, there are so-called "investors" attempting the same technique here, according to what we have been told). Although the company promised to pay the mortgages on the homes it "bought" from the home owners, the company never put its own name on the mortgages and sometimes failed to make the payments it promised it would ("we take over your payments"), putting them at risk of losing their homes through foreclosure. Their office also encountered another form of scam involving "foreclosure consultants". 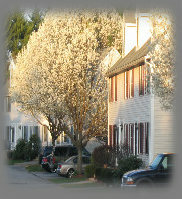 These people promise they can resolve a foreclosure by meeting or negotiating with the home owner's creditors. They generally take one month's mortgage payment, but instead of paying the lender, they pocket this as an up front fee. This scam leaves the desperate home owners in even worse shape than they started. ask you to transfer your property deed or title to them or into a trust they've established.